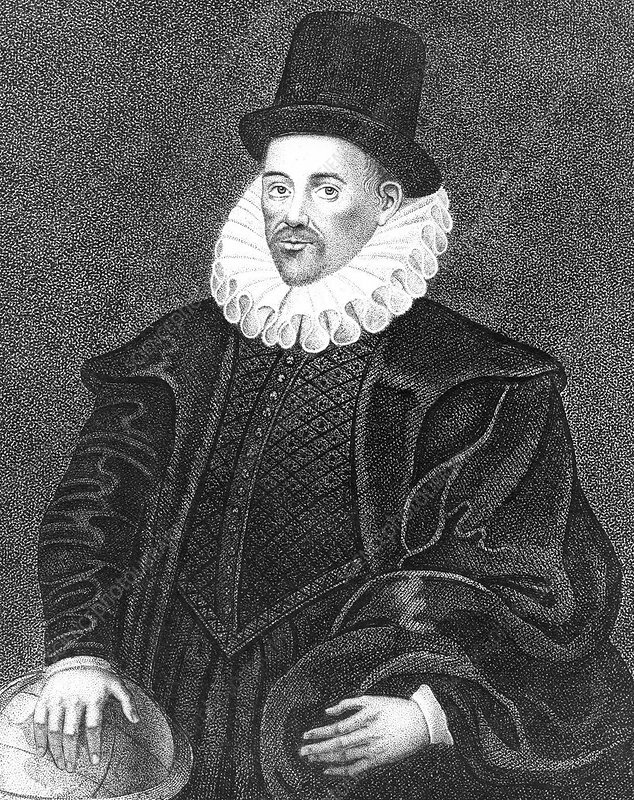 William Gilbert, English physician, late 16th century. Pictured with his hand resting on a globe. Gilbert established the magnetic nature of the Earth in De Magnete (1600) and conjectured that terrestrial magnetism and electricity were two allied emanations of a single force. The first to use the terms 'electricity', 'electric force' and 'electric attraction', he also pointed out that amber is not the only substance which attracts light objects when rubbed. The Gilbert force of magnetomotive power is named after him.